Think of Kansas City and you'll probably think of barbecue, jazz, or the Chiefs. But for James Shortridge, this heartland city is more than the sum of its cultural beacons. 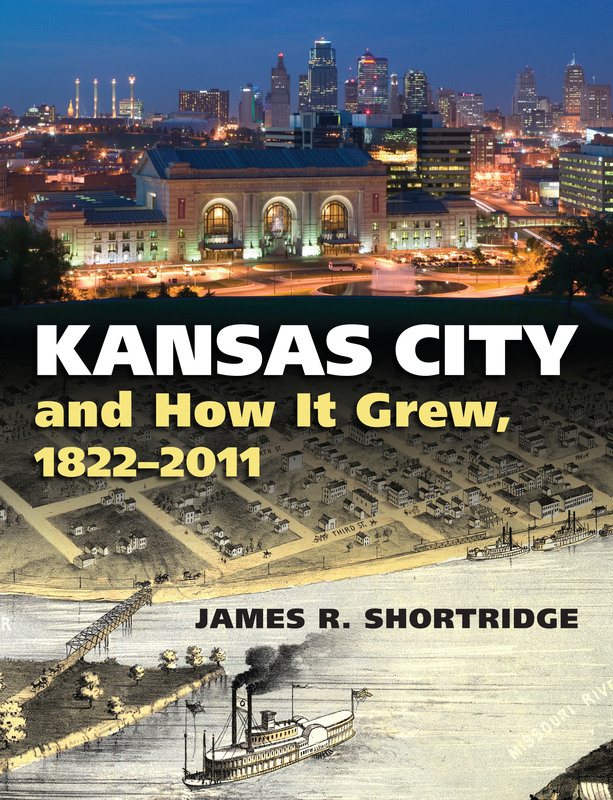 In Kansas City and How It Grew, 1822-201, a prize-winning geographer traces the historical geography of a place that has developed over 200 years from a cowtown on the bend of the Missouri River into a metropolis straddling two states. He explores the changing character of the community and its component neighborhoods, showing how the city has come to look and function the way it does-and how it has come to be perceived the way it has. Proximity to Great Plains ranches and farms encouraged early and sustained success for Kansas City meatpackers and millers, and Shortridge shows how local responses to economic realities have molded the city's urban structure. He explores the parallel processes of suburbanization and the restructuring of older areas, and tells what happens when transportation shifts from rivers to railroads, then to superhighways and international airports. He also reveals what historians have missed by tending to focus attention only on one side or the other of the state boundary. The book is a virtual who's who of KC progress: without selective law enforcement under political boss Thomas Pendergast, Kansas City would not enjoy its legacy of jazz; without the gift of Thomas Swope's namesake park, upscale residential expansion likely would have gone east instead of south; and without J. C. Nichols, Johnson County suburbs would have developed in a less spectacular manner. Its insight into important molders of the city includes nearly forgotten names such as William Dalton, Charles Morse, and Willard Winner, plus important figures from more recent years including Kay Barnes, Charles Garney, and Bonnie Poteet. ,br>With more than 50 photos and dozens of maps specially created for this book, Kansas City and How It Grew is unique in treating the entire metropolitan area instead of just one portion. With coverage ranging from ethnic neighborhoods to development strategies, it's an indispensable touchstone for those who want to try to understand Kansas City as both a city and a place.